Before we dive in for a closer look at the schedule for North Coast Festival on Saturday, we've got some important information about will call if you're heading out to the festival this weekend. Go early, maybe stop by and grab a beer and some dinner Thursday, to beat the rush. And if you pick up your ticket before heading into the festival, no need to walk over to the Ashland entrance, because North Coast has opened a second entrance to the festival grounds on Ogden just south of Lake St and closer to the will call. Now on with our breakdown of the acts to check out Saturday at North Coast! The stages for the most part are set up by primary styles: a more jam band based stage, a heavier dance bill stage, and stage that is a good dose of different styles. And every stage has at least one hip-hop act, so you can stick with a theme or mix it up. Full disclosure, I, the author (not Gapers Block) am not a fan of jam music. I've seen moe. at Summer Camp Festival, along with a dozen other similar bands including Umphrey's McGee, and while I respect the incredible talent they possess when playing, it's just not my cup of tea. But by all means, if you enjoy this style of music, spend a good portion of your day at the North stage. You can start off your Saturday at the Coast stage, relaxing in the shade with a perfect breezy hip-hop soundtrack from Two Fresh. The young duo mix together elements of hip-hop, jazz, and electronic beats to create a chilled out start to your day. 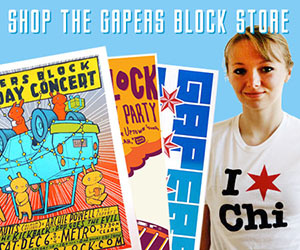 Stop over next at the Groupon stage and catch some of Chicago alt-country outlet Van Ghost. They're a great precursor to the rough around the edges yet sweet as pie Grace Potter, who is playing at 4:30pm at the North stage. Potter and company have a 70s Neil Young/The Band rock aura about her, with a pinch of Janis Joplin vocals peeking through. Make sure to catch some of De La Soul at the Groupon stage, because they're the men behind 3 Feet High and Rising, a hip-hop essential. Nuff Said. Then head back over for the massive dance party at the Coast stage with Boys Noize, a heady blend of bass thumping electro house beats. He does some incredible remix work, and will surely whip the crowd into a massive frenzy. Stick around for Moby's DJ set to end the night. His show last year at The Vic was one of the most technically impressive shows I've seen in a long time, the sound so tight and polished, a perfect example of an artist who has perfected his craft. He won't have his full band, but will return to his DJ roots to end Saturday night. Duck away from Moby and catch hometown boys Hey Champ at the Red Bull local stage. They always know how to trot out the best summer jams to end the night on a high note. North Coast Festival is this weekend, September 3rd, 4th, and 5th in Union Park. Weekend passes are sold out but individual tickets are still available. 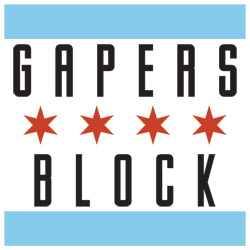 Check out their site for all the festival details and to purchase tickets, and keep checking back as we break down the weekend for you here on Gapers Block.